Sende einen Beitrag für eine Collage. Send a participation for a collage. Envias una participación para uno collage. 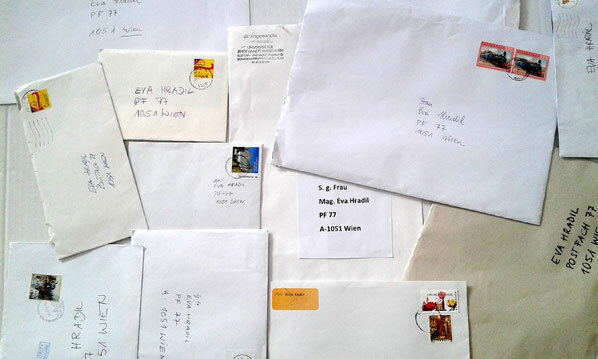 Menschen bekommen über das Internet die Einladung ein Stück persönliches Papier per Post nach Wien zu senden. Ich nehme das Stück Papier, lasse es ganz oder reisse es in Teile und klebe diese gemeinsam mit anderen zu einer Collage. Die Größe des fertigen Bildes ergibt sich aus der Teilnehmer-Dichte. Die Namen der Absender nehme ich als Co-Autoren auf die Website und auf die Bildrückseite. Anm: Da das Papier naß aufgeklebt wird, verwischen wasserlösliche Farben wie z.B. Tintendrucker-Ausdrucke . Collage mit unterschiedlichster und internationaler Beteiligung. 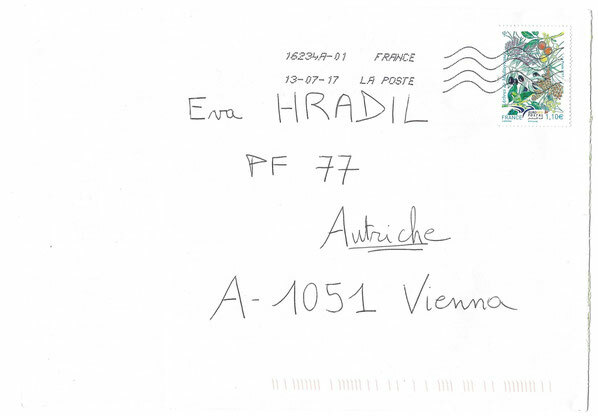 Via internet people get the invitation to send a piece of paper to Vienna by post. I will let this paper as it is or rip it into parts and glue it together with the others to a collage. 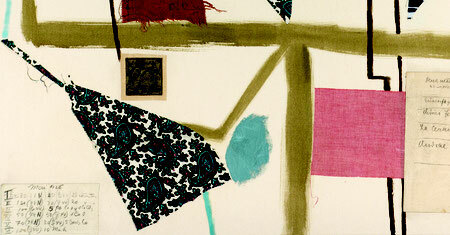 The size of the finished collage is determined by the quantity of participants. All those names of participants I will write on the webpage and on the backside of collage. Note: As the paper will be fixed with liquid glue water-soluble paints (like ink jet printer) will smear. Note: This adress is only for that project. Collage with most different and international participation. 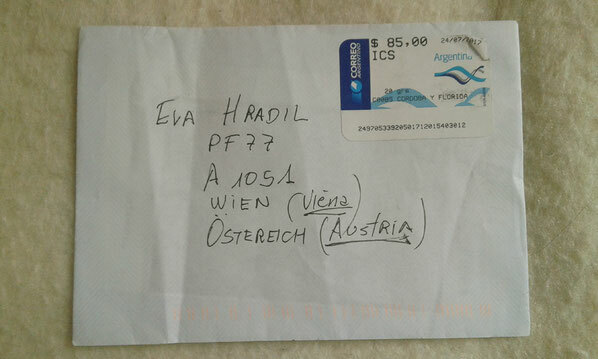 Con la ayuda de internet la gente reciben la invitación del enviar un papel (impreso) a Viene con el correo. Dejo el papel como está o troceo en la parte y adhiero con los otros a un collage. La dimensión del Collage resulta del la cunantia del los participantes. Escribo cada nombre del participantes en la página web y en el dorso del collage. Nota: Porque los papels fijan con uno pegamento liquido la tinta soluble (como impresora de tinto) se difuminan. AHORA antes que el 17 del agosto 2017. Nota: Darse dirección está solemente para dar projecto. Collage con mas diferente y internacional participación. Zur Zeit wird an den Collagen gearbeitet. Einiges klebt schon! Geplant ist, die fertigen Arbeiten bei der Ausstellung separate together zu zeigen, die sich auf November 2018 verschoben hat, damit alle Beiträge genügend Zeit haben. In the moment the collages are under construcion. Parts are fixed already! Those finished collages should be shown at separate together, in November 2018. Ahora Eva trabaja con los collages. Un par de participations enconlan ya! Para terminar en la exhibición separate together en Novembre 2018 en Viena.